Pictured left to right: Dave Cunningham, John Doyle, Philip murphy, Irene Montgomery, David Doyle, Karl Montgomery and Ken Cunningham. Missing from the crew are Gay murphy and Neil Cunningham. 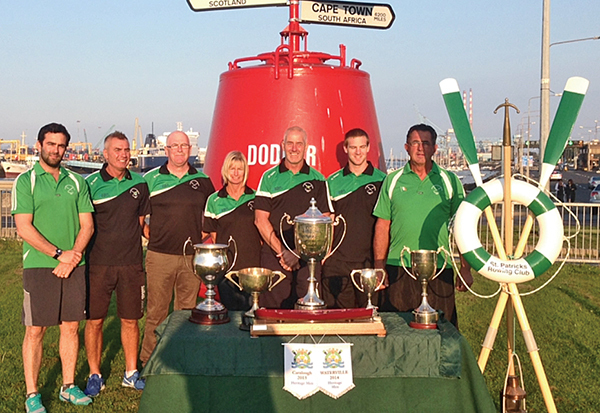 St. Patrick’s Rowing Club completed another successful year with another haul of trophies at the climax of the rowing season. The August bank holiday saw the St Patrick’s Rowing Club Senior Crew emerge victorious from the Senior Cup in Wicklow, on the back of other successes throughout the season. The win in Wicklow Town marked a special occasion for team members Ken Cunningham and Gay Murphy, with the victory marking Ken’s first Senior Cup for the club and Gay’s 18th title. St Pat’s have failed to win the trophy on only four occasions since the year 2000. 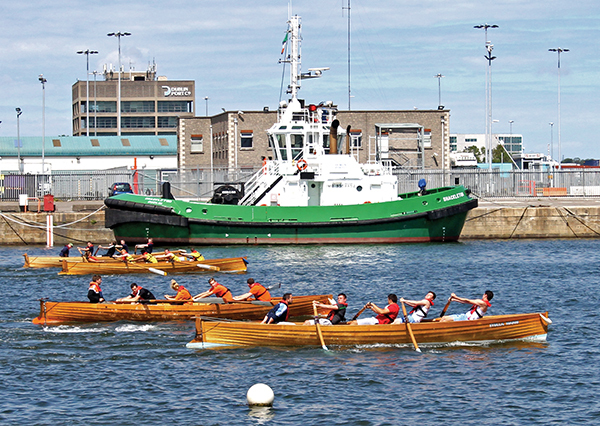 The competition was contested by a combination of the main rowing clubs, including clubs from Ringsend, Dun Laoghaire, Arklow, Skerries and Wicklow. Although the Wicklow trophy is most prestigious in the senior’s rowing canon, this stellar season for St Pat’s also saw them claim silverware in other races, such as Stella Maris, Skerries, Greystones, Dalkey, Wicklow and Kerry. The season ended with St Pat’s losing only two of their races overall. 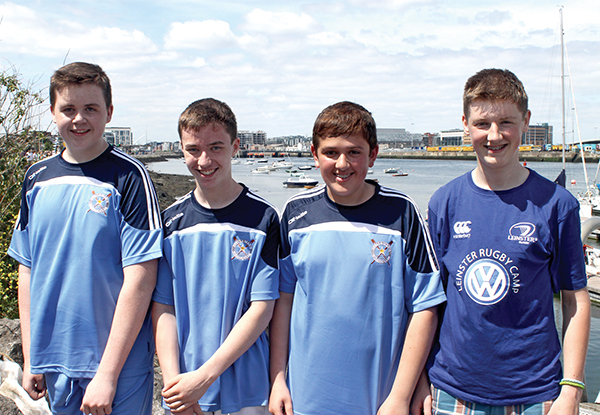 NewsFour spoke to the lads as they displayed their season’s trophy haul outside the club’s headquarters in Ringsend. Cunningham spoke of his delight at finally lifting the elusive Wicklow Senior Cup, as he has chosen this as the appropriate time to retire after an eventful 42-year rowing career. John Doyle of St Pat’s spoke of the Senior Crew’s accomplishments and how the team will be experiencing some significant future changes after many years working together. Pictured: David Tilson, Jordan Buckley, Ajmal Rahman and Darren Earley from Stella Maris, winners of the under-16s boys race. Pictured : Under 18s race starts at the St Patrick’s Rowing Club Regatta.